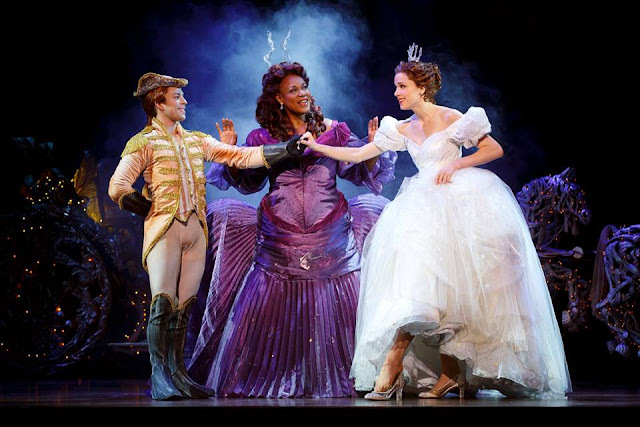 RODGERS + HAMMERSTEIN'S CINDERELLA, the 2013 Tony® Award-winning Broadway musical from the creators of South Pacific and The Sound of Music, will play at the Fox Theatre for a limited engagement from November 3-8 as part of the 2015/2016 Fifth Third Bank Broadway in Atlanta Series. One of Rodgers + Hammerstein's most popular titles, CINDERELLA was written for television -- debuting in 1957 starring Julie Andrews. In 2013, the show made its long-overdue Broadway debut. Along with CINDERELLA, Richard Rodgers and Oscar Hammerstein's legendary musicals include OKLAHOMA!, Carousel, The King and I, South Pacific and The Sound of Music. Mr. Beane's book for CINDERELLA blends masterfully with the musical's cherished score with songs including "In My Own Little Corner," "Impossible/It's Possible," "Ten Minutes Ago" and "Do I Love You Because You're Beautiful?" The creative team includes scenic design by Tony® Award nominee Anna Louizos,costume design by six-time Tony® Award-winner William Ivey Long, lighting design by Tony® Award-winner Kenneth Posner and sound design by Tony® Award nominee Nevin Steinberg.